There was much excitement in Sellwood when news that the group behind Laurelhurst Market and Simpatica Catering were opening a barbecue joint on 13th, and it's no wonder when one of the most popular menu items is this sucker with brisket burnt ends, pimento cheese, shredded iceberg, and crispy onions. 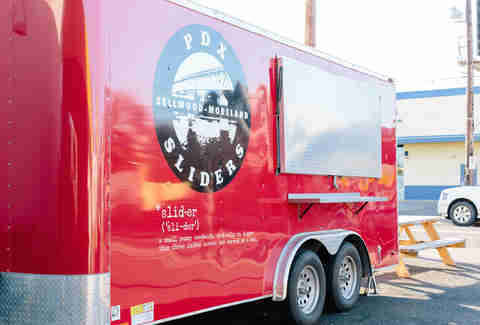 Tucked behind a 7-Eleven and sharing a parking lot with a car wash, the PDX Sliders food truck might have an unassuming location, but the juicy slider size patties and fresh, inventive toppings are total standouts. 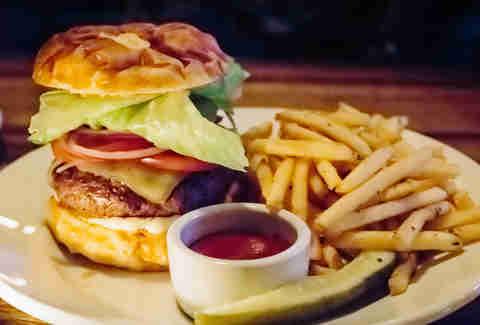 Their signature option has bacon, aged-cheddar, caramelized onions, butter lettuce, and aioli all on a toasty brioche bun. 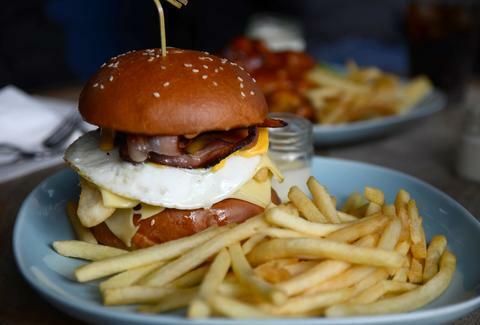 Oh, and the fries have a dusting of truffle and the burgers are named after the bridges. 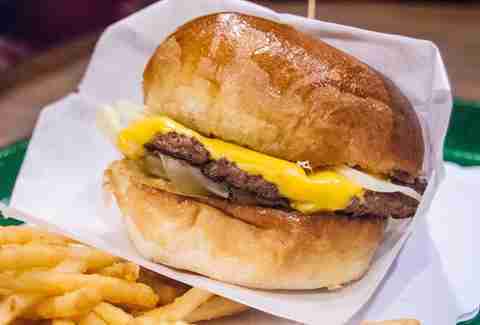 Peter Bro’s new In-N-Out-inspired burger joint, All-Way, just opened this month Downtown. 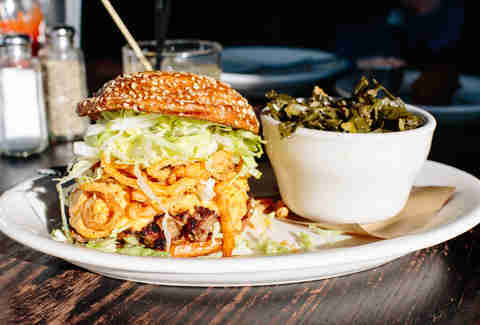 Expect fluffy buns, quarter pound patties, and that its fast food (but not really fast food-style) will make it a 503 mainstay. This Tex-Mex spot just opened this June and quickly became noted for their green hatch chile burger. 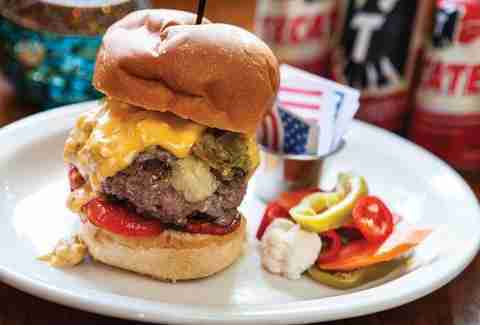 A brioche bun holds a beef patty topped with roasted tomatoes, green chile, and a chorizo con queso. This one is a napkin breaker, so grab a few extra. The River Pig Saloon opened early this year and quickly became a great spot for Timbers fans, as well as fans of juicy bison patties with cheddar, bacon, fried onion strings, chipotle aioli, plus the traditional add-ons, all on a seeded brioche bun, obviously. A hamburger may not be the first thing that comes to mind when you think of a German pub, but this one comes on a toasty pretzel bun with Emmentaler, tomato, red onion, crispy iceberg, and house-made mustard. This year, The Bitter End, a long time favorite of the Timbers Army, had a floor to ceiling makeover. Along with the new look came a new chef and a new menu, complete with a char-grilled classic with tomatoes, lettuce, onions, pickles, stout aioli & Dijon mustard, all tucked inside a brioche bun. 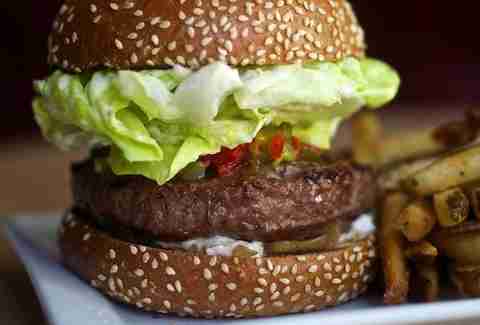 This January, the Little Bird Bistro added a burger with goat cheese, pickles, onions, and fresh lettuce to its menu. 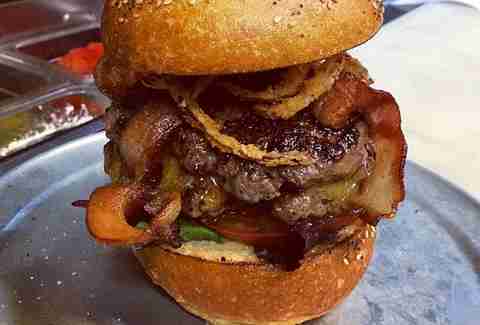 The kicker: you can add seared foie gras, which does make it a $32 burger, but it’s worth it.